Part of our exhaustive testing process includes performance and compatibility testing on most every X99 Series motherboard on the market – and a few that aren't. The heat spreader doesn't just allow Vengeance LPX to run better… the aggressive yet refined form factor looks great in showcase systems. 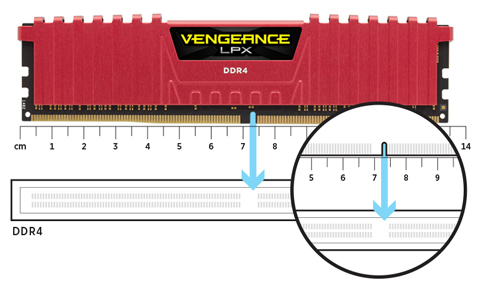 Intel X99-based motherboards support the new XMP 2.0 standard, and Vengeance LPX DRAM does, too. Turn it on, and it will automatically adjust to the fastest safe speed for your Vengeance LPX kit. 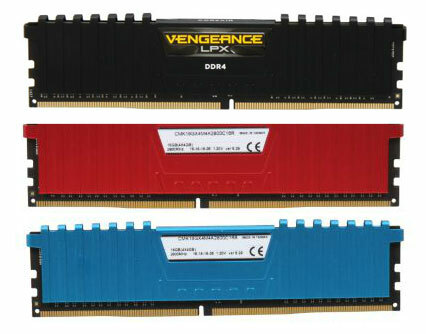 You'll get amazing, reliable performance without lockups or other strange behavior. The best high-performance systems look as good as they run. 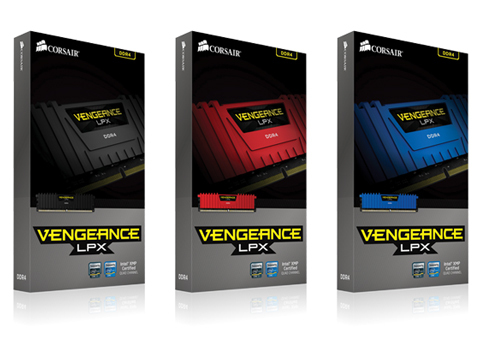 Vengeance LPX is available in several colors to match your motherboard, your other components, your case - or just your favorite color. 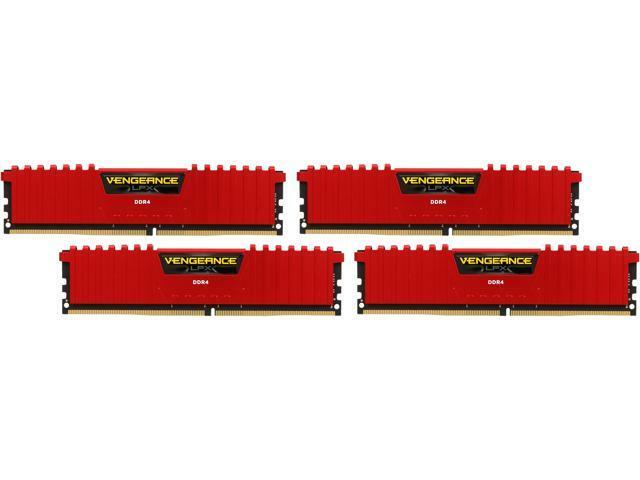 Vengeance LPX is optimized and compatibility tested for the latest Intel X99 Series motherboards and offers higher frequencies, greater bandwidth, and lower power consumption. Pros: Purchased for use with Maximus VIII Gene. Installed memory. Posted with no issues. Set XMP in BIOS and restarted. Speed and timings all adjusted automatically. Pros: Bought it a while ago, still working fine. 32 gigs is more than enough for anything I would throw at it. Cons: I bought it while it was still really new instead of waiting, which means I bought it for over $300. But oh well, not really a con on the product, mostly a con on me.